Meniere’s disease may be a rather rare vestibular condition, but that hasn’t stopped researchers from looking into the causes, symptoms, and treatment options. What has been the result of all of this research? 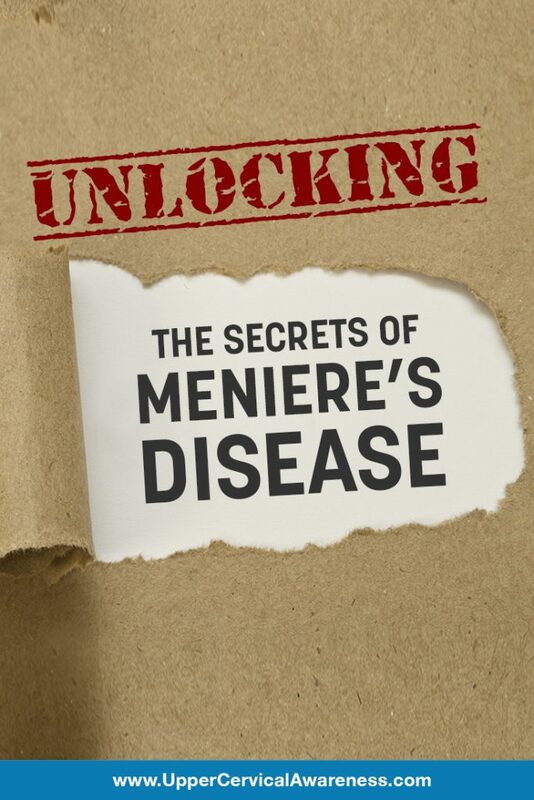 Is there really a way that you can find natural relief if you suffer from Meniere’s disease? We are going to take a closer look at this debilitating condition. At the end of our discussion, we will reveal the natural therapy that has literally helped hundreds of patients in case studies. What Is Meniere’s Disease and What Are the Symptoms? Vertigo – This is a false sensation of movement. Most people describe it as the room spinning. For a Meniere’s patient, vertigo is far more severe than that of positional vertigo. Bouts can last anywhere from 20 minutes up to 24 hours. Tinnitus – This is usually experienced as a ringing sound in the ear but can also be described as a buzzing or rushing sound. This particular symptom grows worse as the condition progresses, and it increases in tandem with hearing problems. Hearing loss – This symptom can be used to determine the stage of a person’s Meniere’s. At first, it may just be a little difficult to hear during a flare-up of symptoms. Eventually, low-frequency hearing is lost in the affected ear. During the later stages of the condition, the higher frequency sounds are also lost. At this point, some patients feel they have lost enough hearing that it is worth undergoing Meniere’s surgery, which can potentially leave a person deaf in the ear that the invasive procedure is performed on. Pressure in the ear – During an attack, a patient may feel a pressure or fullness in the affected ear. This may be due to an excess of fluid in the ear that can subsequently cause many of the other symptoms of the syndrome. While these are the primary symptoms of Meniere’s disease, they are not the only ones. You may also experience fatigue, nausea and vomiting, cold sweats, or other symptoms. In its later stages, Meniere’s can set in on the second ear (it is usually unilateral in nature early on), so take this into consideration before undergoing a damaging procedure. For many years, doctors have associated Meniere’s disease with endolymphatic hydrops. This means that there is an excess of fluid in the ear. However, each ear has a tube to drain away excess fluid to the back of the throat, so the real question should be: what is stopping the eustachian tubes from doing their job? Thanks to one researcher, we may have an answer. An upper cervical chiropractor spent more than a decade trying to help hundreds of Meniere’s patients. He discovered that many patients with these symptoms are also suffering from an upper cervical misalignment. This makes sense. The atlas (C1 vertebra) is located at the base of the skull. From this location, it can affect both the central nervous system as well as the structures of the neck and ears if out of alignment by even a fraction of a millimeter. What were the results of his research? In the two large case studies, about 97% of the patients saw significant improvement in symptoms, particularly vertigo. The average report was a decrease in severity of 90%. This research represents a lot of people where quality of life was restored by correcting the underlying problem rather than just treating symptoms, which is all most medications do. Can you get the same results from upper cervical chiropractic adjustments? Here are some reasons to give this subspecialty of chiropractic a try. Safe – There are no popping or cracking sounds because there is no fast jerking motion involved. Upper cervical chiropractors use low force corrections that are safe and gentle. Precise – Upper cervical chiropractic is focused just on the couple of bones at the top of the neck, so every adjustment needs to be precise. To that end, diagnostic imagining is used to pinpoint misalignments down to hundredths of a degree if necessary. Effective – Upper cervical chiropractic is designed to maximize the body’s ability to heal. When gentle and precise adjustments are administered, the soft tissue of the neck can stabilize. As a result, adjustments will hold longer and you can spread out your appointments. That makes this an effective and efficient form of care. If you are suffering from Meniere’s disease and are searching for a natural way to get some relief, upper cervical chiropractic may be just what you have been searching for. It only takes one visit to learn if you have a misalignment that could be contributing to your condition. Then, a gentle and safe adjustment will be tailored to your specific misalignment. Within weeks, your body can be well on the way to healing that optimizes your central nervous system as well as the function of your ears. To learn more, use the search feature on this website to see which of our preferred doctors is closest to you. A no-obligation consultation can be your first step on the path to an improved quality of life. Upper cervical chiropractors are excited about the prospects of being able to help individuals like to you to reach your health and wellness goals. We want to help you meet the right doctor today!